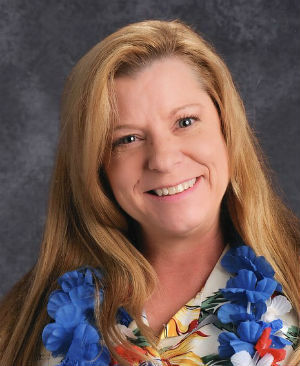 Lisa (Weber) Willey knew she made the right choice when she gave up her job as a computer programmer to become a teacher. However, it wasn’t until she began the online M.Ed. in Curriculum & Instruction in Mathematics Education program at the University of Texas at Arlington that her career began to really fall into place. Willey, who teaches various levels of math at the Jackson Technology Center for Math and Science in the Garland (Texas) Independent School District, will graduate with her master’s degree in August 2017. She has been teaching since 2006. Willey earned a Bachelor of Business Administration in Management Information Systems from the University of Texas at Dallas in 1989. She worked in the corporate world for a dozen years before she moved into teaching after she volunteered at her children’s school and worked with student ministries in her church. She began her career as an educator in Spring ISD, in the Houston area. Willey began working for Garland ISD in 2010. She remarried four years later. Her husband Sean is a Desert Storm veteran. Willey said the experience she gained in the classroom has been essential to her success in the master’s degree program. With two courses remaining, she holds a flawless 4.0 grade point average. Willey said she would eventually like to work for the district office in Garland ISD. Willey ended up attending her second school in the University of Texas system after she did research on online master of education degree programs. “There were a couple of reasons I decided on UTA,” she said. “One was the testimonials. I thought, ‘OK, hey, that’s me.’ Because I was trying to decide whether or not to get my master’s, whether or not it fit my life and whether or not I felt like it was a reputable school with a good teaching program. That’s what got me interested in going to the website and learning more about the program. Willey said she has been able to balance her busy schedule and home life with school. Typically, Willey said she makes time for her online M.Ed. program around her schedule at work. Willey said all of the coursework in the master’s degree program has been applicable to her job. 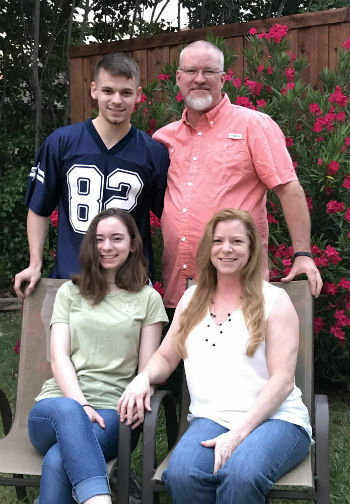 Willey is the first person on either side of her family to earn a college degree, which she believes makes her a good influence on her three children — Leslie Sullivan (23), Patrick Sullivan (21) and Shelby Sullivan (16). She’s especially proud she’ll be adding another degree soon. In addition to work and school, Willey said she enjoys volunteering for community service at the Veterans of Foreign Wars in Plano, Texas. She is also vice president of the Garland Education Association, a local division of the Texas State Teachers Association. She hopes to attend commencement at UTA in the fall. Regardless of whether she walks the graduation stage, Willey will be thrilled to frame and hang up her degree. Learn more about the UTA online M.Ed. in math education program.